The California College of Ayurveda Distance Learning Program is open to students worldwide. Students can complete AHC1 and CAS1 at a distance. Distance Learning is available up to the beginning of internship, at which time, the student may choose a Field Internship program. 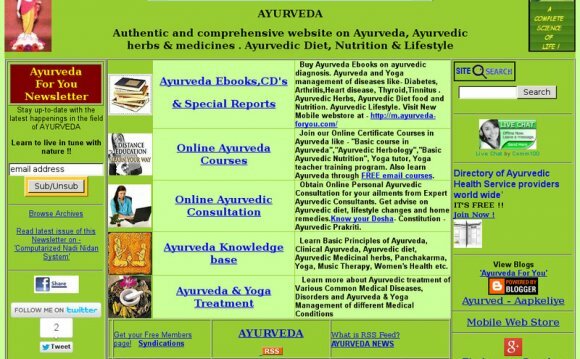 The California College of Ayurveda broadcasts its full-time and weekend programs live over the internet using Vedaweb™ technology. International students may attend these classes however time zone differences can make attendance difficult. At the beginning of each internship all students must attend an in person intensive. There are no exceptions to this. Because of the structure of the educational programs at the California College of Ayurveda, international students cannot receive a special student visa to stay in our country and study for an extended period of time. International students should apply for a regular tourist visa. Please note the California College of Ayurveda does not check the immigration status of our students. You will not be required to show a visa to attend classes. Payments - All payments for the programs can be made by credit card online or over the phone. Language – All classes are taught in English. All textbooks are in English and all exams are giving in English. The College does not provide ESL training. Transfers – It is possible for you to transfer to one of the College’s classroom programs at any time. Communication with Master Teacher – Master Teachers who are assigned to international students all have the ability to communicate with the student using Skype or Windows Live Messenger.